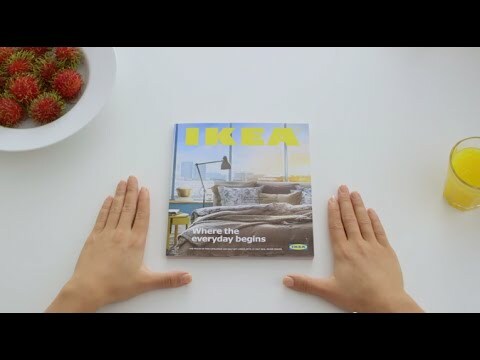 Der neue IKEA Katalog 2015: Simples, intuitiv bedienbares Design. Sehr cool gemacht. IKEA parodiert die Art und Weise, wie Apple die banalsten Features also etwas nie gesehenes, großartiges darstellt. Um einen Katalog aus Papier, ein „bookbook“, wie sie es nennen, zu präsentieren. 1,3 Mio Mal wurde das Video auf YouTube bereits angesehen, ich schätze, das wird in den nächsten Tage noch mehr. Der Katalog kommt zwar jedes Jahr ungefähr zu dieser Zeit heraus, das Timing ist aber dennoch klasse: in wenigen Tagen findet die Apple Keynote statt, von der sich jeder erhofft, das neue iPhone 6 und die ominöse Smartwatch zu sehen. Mathias wies mich auf Facebook darauf hin, dass die Sun aus England bereits 2009 solch eine Idee hatte. Ob der IKEA Clip nun eine Kopie der Idee ist, oder ob sie selbst darauf gekommen sind – man wird’s wohl nicht herausfinden. Will Apple’s control-fetish impact the success of iAd? OK, it‘ s a bit of a strong title. Yet – the latest rumour states that Adidas cancelled their $10 Million contract – due to the harsh „quality“ controls by Apple. Adidas supposedly pulled its $10+ million ad campaign from the iAd program because Apple CEO Steve Jobs was being too much of a control freak. According to one industry exec, Adidas decided to cancel its iAds after Apple rejected its creative concept for the third time. The fact that there are such high standards for quality should generally be regarded as a good thing. Once users acknoledge the fact that iAd adverts are of good quality, acceptance – and hence clickrates – of these ads should increase. Leading to higher revenues for Apple and for the App publishers. But what good is such a quality control mechanism if you upset all the advertisers? Adidas is apparently not the first company – Chanel already stopped their iAd ambitions, too, according to some sources. In addition to Apple’s unusual control over the ad creation process, advertisers complain about the lack of control over and visibility into where their ads appear, lack of third-party ad serving tools, and other issues. Apple plans to open up the process once it’s more comfortable with the program, but it appears some advertisers have lost their patience. 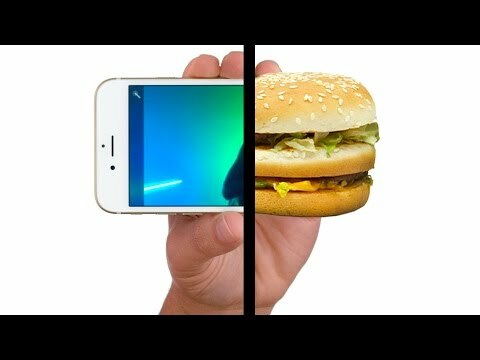 Mobile advertising is one of the next (if not current) big things. With many strong competitors and antitrust investigations pending (what’s the latest status on that, by the way? ), can Apple really afford to be this drastic? I will hopefully start blogging more regularly again soon. The fascinating Word of Mouth effects of the iPhone. It’s amazing how much unfounded gossip there is about the fact that Steve Jobs might reveal the iphone 2 on June 9th. One of the first „solid“ rumours I saw was at Gizmodo. Since then, new rumours, hints and other gossip has increased. I subscribed to an RSS Newsfeed of Google News with the keyword iphone. There is so much happening, it’s amazing. If apple had tried to construct a viral or word of mouth campaign around the iphone, they couldn’t have done a better job than the web just did. Or may be they did help spreading the word? Jobs‘ secretive computer and gadget company, has been quietly positioning millions of units of a mysterious new productâ€”almost certainly the new iPhoneâ€”in key markets since March. And yet, incredibly, not one credible image of Apple’s new product has yet been published. […] One clue: Jobs began racking up serious mileage on his corporate jet during the company’s final quarter of 2007, as he likely finalized deals with distribution partners in Europe and Asia, and perhaps scrutinized the first 3G iPhone handsets to come from his partners‘ factories. Morgan Stanley’s Kathryn Huberty was the first to spot the enormous jump in Jobs‘ airplane expensesâ€”to $550,000 from $203,000 during the previous quarter. […] By May 6, it became clear that AT&T was getting ready for something big, with a blogger publishing an all-hands memo to employees at AT&T stores telling them they couldn’t take vacation time between June 15 and July 12. That news hit amid widespread reports of iPhone shortages in Europe and across the U.S.
Cult of Mac even listed some of the Specs the new iphone should have (some have been rumoring around for quite some time, admittingly, but the info about the size – 22% thinner – is new). A seemingly rather complete list of the current rumors can be found at mobilecrunch, rated with a „Pre-keynote Legitometer“. With all the clues, hints and gossip around the web, it appears to be like a giant world wide scavenger hunt. The whole setup and effect should be every marketers dream (and every ad agencys dilemma, since less or no advertising will be needed for the launch). Once the product itself carries viral potential, it automatically triggers word of mouth. The iphone is a classic example of this. Google and Apple and the no compromise for bucks philosophy. The ends they’re working towards are similar: Goople aspires to – with laserlike intensity – change the world for the better. And where most of their competitors will sell out everything they believe in for a few bucks and a latte, Goople is deeply, radically purposive: they won’t compromise much, if anything, to achieve the goal of changing the world for the better. Go read that and remember the graphic above. And then keep this in mind whenever you’re thinking of a company’s strategy.